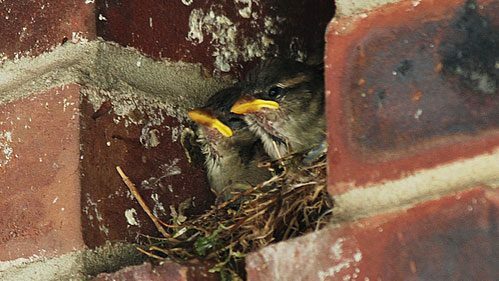 House Sparrow nestlings in their nest tucked into a brick wall. Photo by Billtacular via Birdshare. In general, the best thing you can do for a bird nesting near a human dwelling is to try to minimize the disturbance—stay at a respectful distance, minimize foot traffic, door openings/closings, and postpone and projects or construction slated for the area. 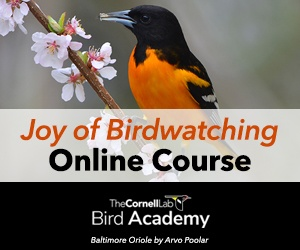 If a bird is nesting in an inconvenient place on your property, the good news is that the nesting period is not forever, and in some species may only be matter of weeks. The nesting cycle for most songbirds, robins included, is around 4 weeks from egg laying to chicks leaving the nest (two weeks of incubation, two weeks of nestlings). Try not to use the area around the nest until the young have fledged to ensure that the parents will not abandon their nest. If this is not possible, try to minimize your presence around the nest; many yard birds are tolerant of occasional disturbances. We don’t recommend that you move the nest; Birds will often abandon their nest if it is moved. Only in extreme circumstances should you consider relocating a nest, and if you do, it must be replaced very close, within a few feet of the original location. Once relocated, watch and make sure the parents are returning. If the parents do not return, contact a wildlife rehabilitator. Some people choose to put up feeders or leave mealworms around to try to provide an additional food source for birds nesting nearby, but this is not necessary for the nest to be successful. 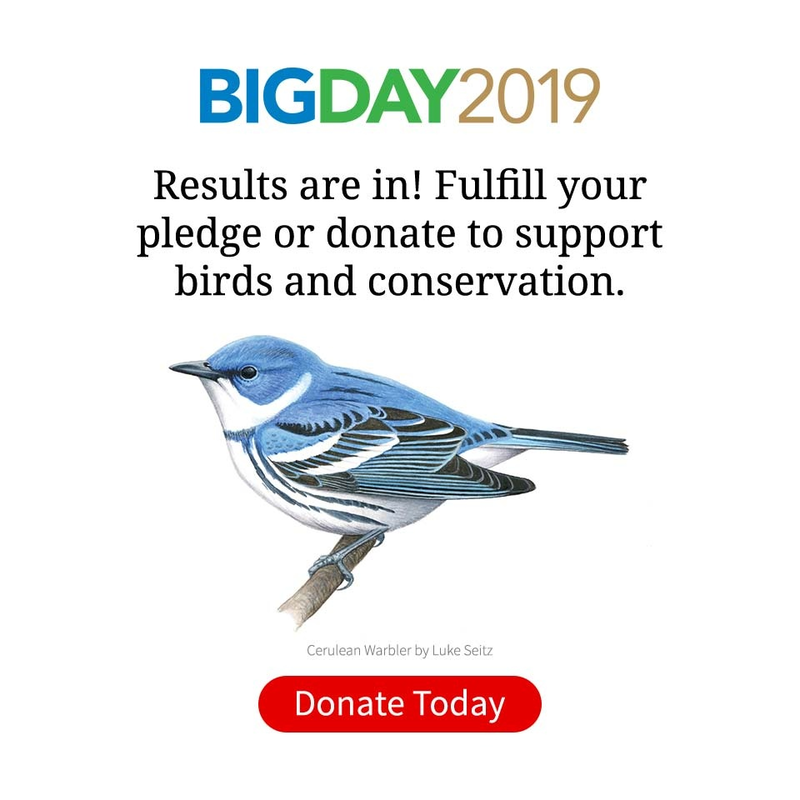 If you are enjoying observing a nearby nest, and would like to go a step further and collect data for science about the nesting behavior, please consider joining NestWatch. All About Birds is an excellent resource for finding out information about birds in general and about incubation and fledging times for individual species. I found a nest near my house and want to observe it but I am worried about disturbing it. Can you give me any advice?